The decision to go and live off the grid is one of the biggest life decisions that you can possibly make, and one of the most important choices that you will have to make as part of that decision is where you will choose to go off the grid. However, many people don’t know the best places to live off the grid. You can’t just choose any random location to live off the grid and go there. Some places and some states as we shall soon see are far better than others. In the upcoming sections, we will discuss the top qualities of the best places to live off the grid so you will know what to look for, and then we will outline and discuss the top five best states to live off the grid and the reasons why. To wrap up, we’ll discuss the worst states to live off the grid in as well. As was noted above, not everywhere or anywhere is a good place to live off the grid. You really need to be selective about where you choose to go. First, the area that you choose cannot be polluted in any way whatsoever. This means no living in close vicinity to farms, drilling operations, factories, mining operations, waste/garbage disposal facilities, or nuclear power plants. To be on the safe side, make sure that you live at least two hundred miles from any of those listed above locations. Without water access, how can you expect to be self-sufficient? This is why it is absolutely imperative that your off-grid location have access to clean water. This means it could have access to a running river, stream, or lake (a running source of water would be preferable), or it could have a water well so you can access water underground. In addition, while it’s not a requirement, it would undeniably be nice to live in an area that receives at least some rainfall each year and to have a rainfall catchment system in place. The less zoning laws and regulations there are in your area, the better. This is simply because there are fewer hoops to jump through to live off the grid, and you’ll pay less money to the state and local government as well. For this reason, choosing a city and county/city with low taxes and regulations would be vastly preferable. This is also important if you are wanting to go off the grid with no money. Just because you’re living off the grid doesn’t mean you can’t have access to roads. In fact, you will want access to roads should you ever be forced to head into town for an emergency. Access to roads also plays a major factor in the price of a piece of property. An otherwise nice piece of property with no access to roads would be priced much more cheaply than the same or similar piece of property with road access. Nonetheless, it probably won’t be worth it to you to pay less for road access. If you ever need to quickly head into town for emergencies, or if you need to evacuate from your home in the event of a major disaster, access to maintained public roads will be essential. So this is important to consider in the case that you ever have to bug out. Coastal areas are simply vulnerable to too many things: hurricanes, earthquakes (if you live on the west coast), and yes, to military invasion. This is why setting up a homestead on the west coast or the east coast of the United States will not be the wisest move, and you will instead want to select a place that’s more inland. Next, we will talk about the top five best states for off-grid living. 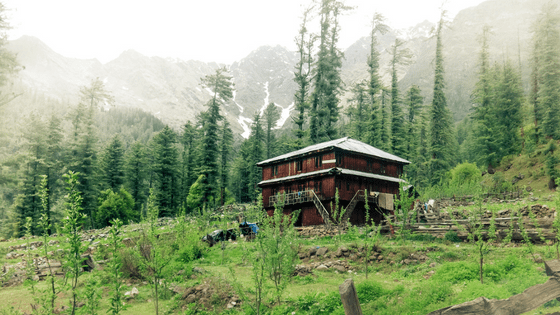 One thing to take note of is that there is no perfect place to live off the grid. Each of these states we are about to cover have disadvantages, but fortunately, their advantages outweigh them. As the largest state in the union, Alaska is a very popular destination for those desiring to live off the grid. And not only is Alaska the largest state, it’s also beautiful and jam-packed with resources. That being said, Alaska does have some downsides. It gets very cold during the winter, and furthermore, it takes much longer for things to ship in. This means that in a major disaster, Alaska may become completely cut off from being resupplied. That being said, Alaska is also a state almost intended only for off gridders to live in. Taxes are very low, with the lowest tax burden in the United States, and with only twenty-five different municipalities charging a property tax. Homeschooling is also fully legal, with the only requirement being that parents need to notify the state that they are homeschooling their children (no inspections or state given tests are required). There are also no restrictions on firearm ownership or gardening, another major plus for those who desire to live off the grid. Idaho is perhaps the most overlooked state in the country to live off the grid. Like Alaska, it’s a very fiscally conservative state with minimal taxes and regulations. But even more importantly, Idaho has a cost of living that is far less than that of Alaska (which is the highest in the nation). The land is sparse and inexpensive in contrast to other states. Furthermore, the geography in Idaho is also quite diverse, ranging from high mountain ranges in the northern panhandle to deserts, grasslands, and scrublands in the southern region. Natural resources such as fish, wild game, agricultural land, and timber are also in great abundance. If you were hoping for your off-grid homestead to be in the Midwest, you’ll want to give strong consideration to Missouri. Why? Because Missouri is one of the few states that actually encourages its citizens to live off the grid. This may be surprising because Missouri is rarely a state that people think of when they think about homesteading. To this end, there are very lax laws when it comes to guns, homeschooling, farm animals, and gardening. Another major plus is that the cost of living in Missouri is also low, and as long as you live in the rural regions of the state (which is the vast majority of the area), there are no zoning or building codes, which is awesome for anyone who wants to live off the grid. The temperature here is mild, with an average temperature of fifty degrees Fahrenheit, humid summers, and reasonable amounts of snow and rain each year. When people think of Nevada, two things tend to come to mind: deserts and Las Vegas. Despite this, Nevada is still one o the best places to live off the grid. For one thing, it has a very large and active off-grid community, even more so than Arizona and New Mexico (two more popular destinations for an off-grid living). Finding other people who live off the grid in Nevada will be very easy. With practically unlimited amounts of sunlight, solar powering your home in Nevada will be incredibly easy. The land throughout the state is also very cheap, and regulations are surprisingly minimal (despite it being far from the most conservative state in the Union). The only real issue to contend with is water. After all, almost the entirety of the state is a desert. The best solution will be to dig your own water well on your property, as well as to have a rainwater catchment set up for when it does rain. But overall, so long as you don’t mind the sunny heat and living in a desert, Nevada truly is one of the best places to go off the grid. Wanting to go to the southeast to live off the grid? Here’s a word of advice: check out Tennessee. There are very few states in the southern United States that experience all four seasons, but Tennessee is one of them. Summers are hot and humid, while winters are usually below freezing. But as for why Tennessee is one of the best places to live off the grid, there are several reasons: the cost to buy and own property is low, the tax and regulatory burden are very minimal, there are very minimal rules when it comes to gardening and homesteading, and gun laws are lax. Routinely, Tennessee is ranked as one of the freest states in the entire country. Tennessee also has the luxury of having excellent agricultural land, which is a major plus for anyone who wants to be self-sufficient. The soil is very rich, and you’ll have access to fresh water as it runs down from the truly scenic Appalachian mountains. As a whole, the population in the rural areas tends to be very self-sufficiency minded as well. Alright, now that we’ve talked about the top five best places to live off the grid, what about the top five worst. Each of these states, with the exception of Florida, suffers from some of the highest taxation and regulations in the country (their populations have actually been decreasing as a result). But they each present unique challenges aside from that. For instance, even though it doesn’t have incredibly high taxes or regulations, the cost of real estate in Florida is inexplicably high and it also has a high crime rate, in addition to a sinkhole problem. California is in a major earthquake zone and right on the Pacific coastline as well. Hawaii is cut off from the mainland, which means in a major disaster, you’ll basically be stuck on there until things return to normal (or if they return to normal). Hawaii also has one of the highest costs of living in the United States. Can you set up an off the grid homestead in those states if you want to? Absolutely. Just know that you’ll be taking more risks if you do, you’ll have to pay more in taxes in fees, and you won’t have as much freedom when it comes to guns, homesteading, gardening, farming, or homeschooling. Again, there is no single perfect place to go live off the grid. But certain places and states are definitely better than others. 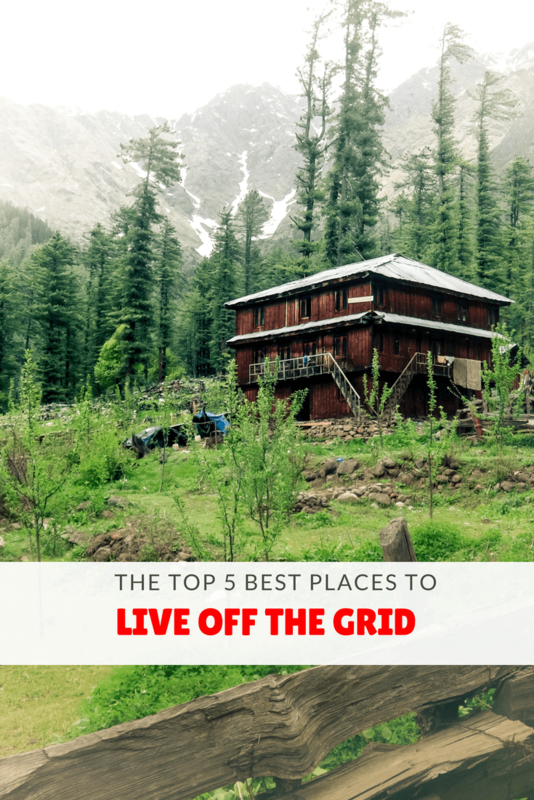 The top five states that we have discussed in this article are not the only states that you should consider living off the grid. In fact, you can technically live off the grid in virtually any state that you want to. But the five states that we have discussed here today all share many things in common: they are economically free, taxes and regulations are minimal, the property is cheap, the people tend to be very self-sufficient minded folks, homeschooling laws are lax, firearms laws are limited, and sometimes even encourage off-grid living. There will be negative aspects of each state to contend with, but for the most part, these five should be the first five that you consider. Previous: Rural vs Urban Prepping: Which is Best?